The year 2014 is here and with it New Year’s resolutions. My New Year’s resolution is to commit more open source code. Little apps like this one by Nick Quinlan are helping to keep that at the forefront of my mind. Specifically, I want to complete a 30 day GitHub commit streak. I’m bad at remembering to commit so I built an application to remind me. 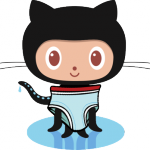 It’s called github-streaker. It checks your GitHub commits each day. If you haven’t made any commits that day, it sends you a reminder email using SendGrid. You can view the source code here if you want to dig deeper. Pull requests warmly welcomed and Happy New Year!